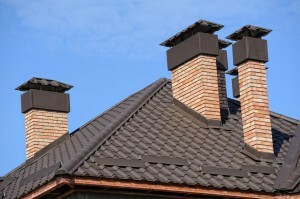 What Makes Us the Best Roofing Contractor in Queens? Your roofing is one of the most important parts of your home, so when you need to have any work performed on it, you need to know that you’re working with a roofing contractor who you can trust for excellent work. Roofing is the first and most important piece of protection that any home has form weather and the elements, and your roofing contractor should be able to keep it in excellent condition so that your home has all of the protection that it needs. When you hire the roofing contractors at Eden Roofing in Queens, we’ll be able to guarantee excellent workmanship and professional customer service at every job that we perform. Our roofers know how important your roofing is to your home, and how important your home is to you and your family, so we’ll do whatever it takes to guarantee your satisfaction with all of our work. All of our roofing contractors are licensed professionals with extensive training and experience. Whether you need roofing maintenance or intensive repairs, we’ll be able take care of the job quickly and professionally. We’ll do whatever it takes to keep your Queens home’s roofing in the best condition possible. Our roofers use the highest quality materials on the market, so you’ll always know that you’re getting excellent products along with our high quality work. Practice makes perfect, and with more than a decade and a half of roofing experience, our Queens roofing contractors have had quite a lot of practice. We’ll be able to handle any roofing job that you need, from the most basic inspection to a full roofing replacement. We provide roofing services to home and business owners throughout Queens and the rest of New York City, and we’ve brought in more than $1 Million in revenue. Our roofing services are trusted by many, and we look forward to adding you to a long list of satisfied clients. Our professionals use authentic waterproofing methods to ensure that your roofing isn’t subject to leaks or moisture damage. We are proud members of the NCRA (National Roofing Contractors Association), and we maintain that membership by providing all of the Queens homeowners we work with with the best workmanship possible. We rarely receive complaints from customers, and when we do, we address them immediately. We also have an excellent rating from the BBB. If you’re looking for a roofing contractor in Queens, call 718-819-7700 or complete our online request form.